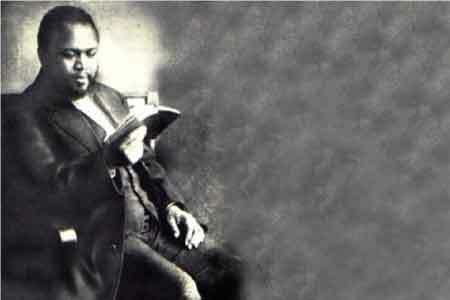 William Joseph Seymour, 1870-1922, was an African American minister, and a catalyst of the Pentecostal and Charismatic movements. William Seymour not only rejected the existing racial barriers in favor of “unity in Christ but” he also rejected the then almost-universal barriers to women in any form of church leadership. The revival meeting he started on Azusa St. in Los Angeles Ca. Extended from 1906 until 1909, and became the subject of intense investigation by more mainstream Protestants. Some called Seymour a heretic, while others accepted his teachings and returned to their congregations to expound them. 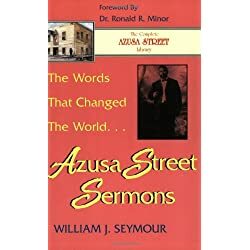 The resulting movement became widely known as “Pentecostalism.” While there had been similar manifestations of the Spirit in the past, the current worldwide Pentecostal and charismatic movements are generally agreed to have been in part outgrowths of Seymour’s ministry and the Azusa Street Revival. The Pentecostal power, when you sum it all up, is just more of God’s love. If it does not bring more love, it is simply a counterfeit. The thing that makes us know that this “latter rain” that is flooding the world with the glory of God is of the Lord, is because the devil is not in such business. I can say, through the power of the Spirit, that wherever God can get a people that will come together in one accord and one mind in the Word of God, the baptism of the Holy Ghost will fall upon them, like as at Cornelius’ house. Let us honor the blood of Jesus Christ every moment of our lives, and we will be sweet in our souls. So many today are worshiping in the mountains, big churches, stone and frame buildings. But Jesus teaches that salvation is not in these stone structures–not in the mountains–not in the hills, but in God. 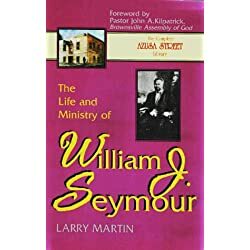 For many years the pivotal role of Seymour was almost ignored by church historians. Partially, no doubt, because he was an African American. 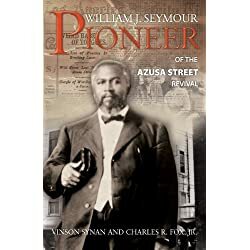 This shameful neglect, however, is finally ending as more and more students of Pentecostal history learn of the importance of William J. Seymour’s role in the formation of the Pentecostal movement.